Identify the exact location and orientation of the image. Provide a rationale. Looking west toward the LILCO Gas Tank located on Stewart Avenue in Garden City. 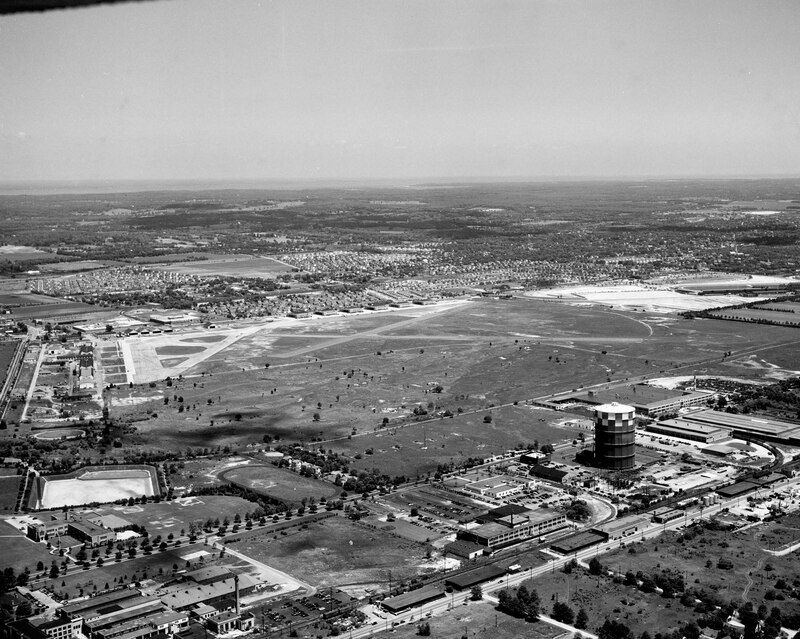 Rationale: The factory chimney to the right of the LILCO Gas Tank and the large planted trees that surrounded the Meadowbrook Polo Club field which was located in the tree-less Hempstead Plains. Obvious rationale: The Newsday caption. On what structure was this photo taken? 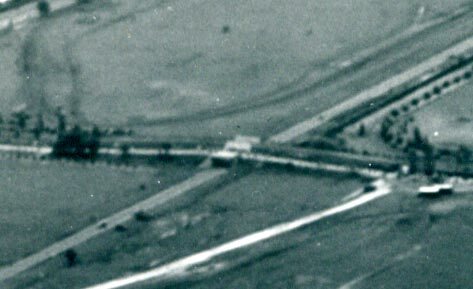 The Roosevelt Field Motor Parkway Bridge that was used to cross over the Motor Parkway in 1950 to enter the Meadowbrook Polo Club. 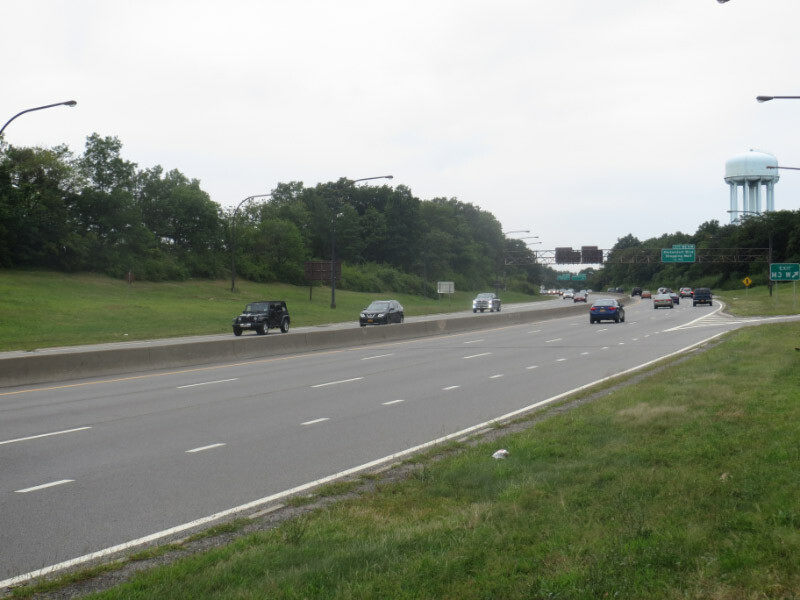 Besides the road, what other elements of the Motor Parkway can be seen in this image. A very impressive line of concrete posts and the three-foot concrete extensions on the west side of the Motor Parkway. 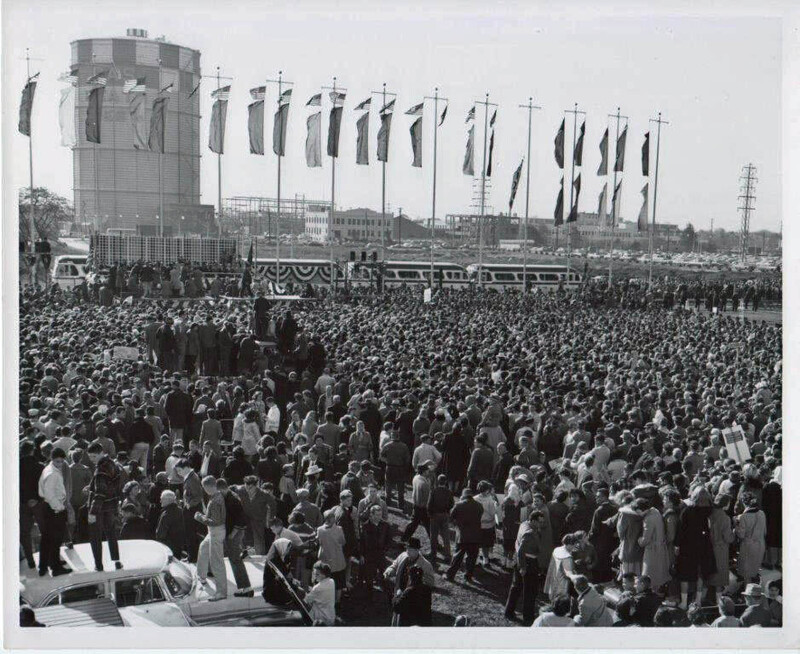 Congrats to Michael LaBarbera, Brian McCarthy, Joe Oesterle, Sam Berliner III, George Philippides and Frank Mendyk for identifying the location of the Mystery Foto and its correct orientation. Kudos to Frank Mendyk (see below Mendyk's Journeys) for submitting the "Today" images and possible discovery of new Motor Parkway remnants. 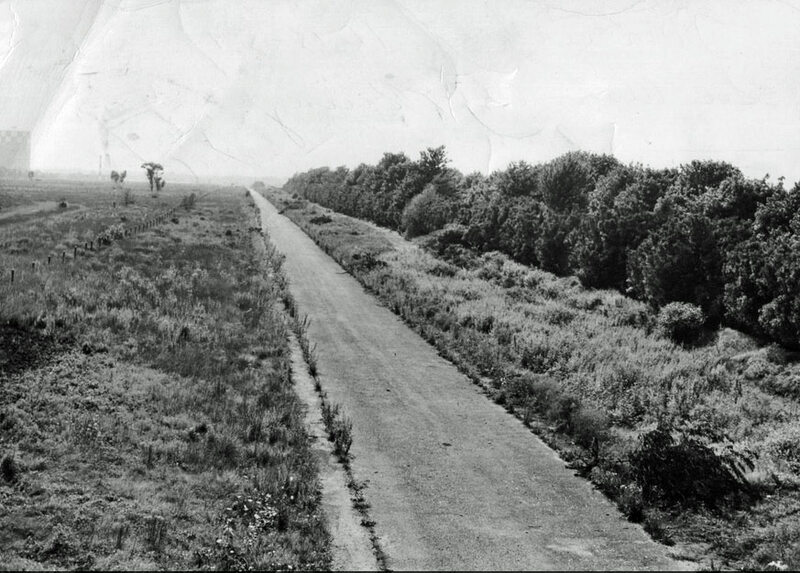 Newsday caption: A portion of the deserted Motor Parkway, looking west from the rear entrance of Roosevelt Raceway on August 16, 1950. View looking south/east. Note: The factory chimney to the left of the LILCO Gas Tank. The Roosevelt Field Motor Parkway Bridge and the tree line bordering on the Motor Parkway. The planted tree line matches the one seen in the Mystery Foto. 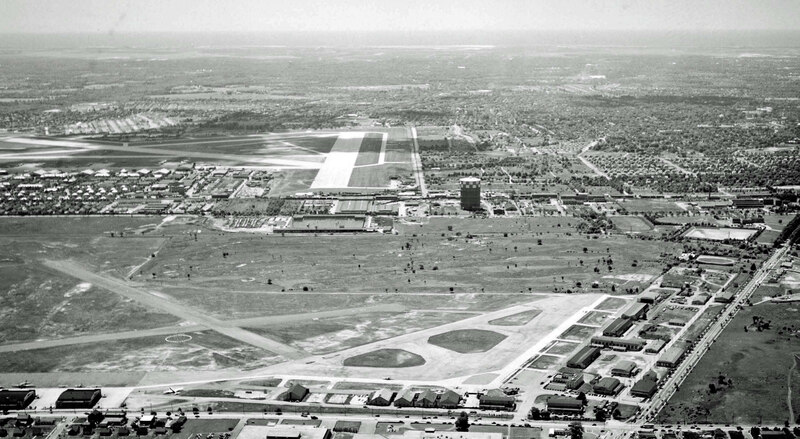 Great view of Mitchel Field. View looking east. Note: The position of the two factory chimneys in comparison to the LILCO Gas Tank. The chimney that belonged to the original Curtiss Engineering Company (lower right) fooled me too! 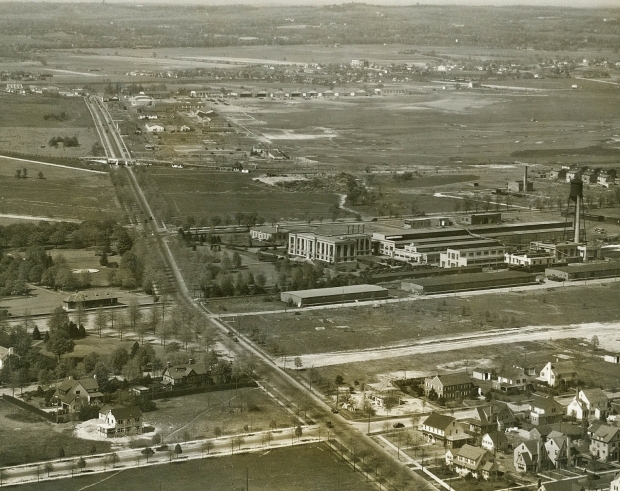 This aerial is looking north towards Curtiss Engineering Corporation and Curtiss Field in Garden City and East Garden City circa 1932. Clinton Road is running north and south highlighted by the Motor Parkway Bridge. View looking north. Note: The two chimneys north and south of the gas tank. Looking south. 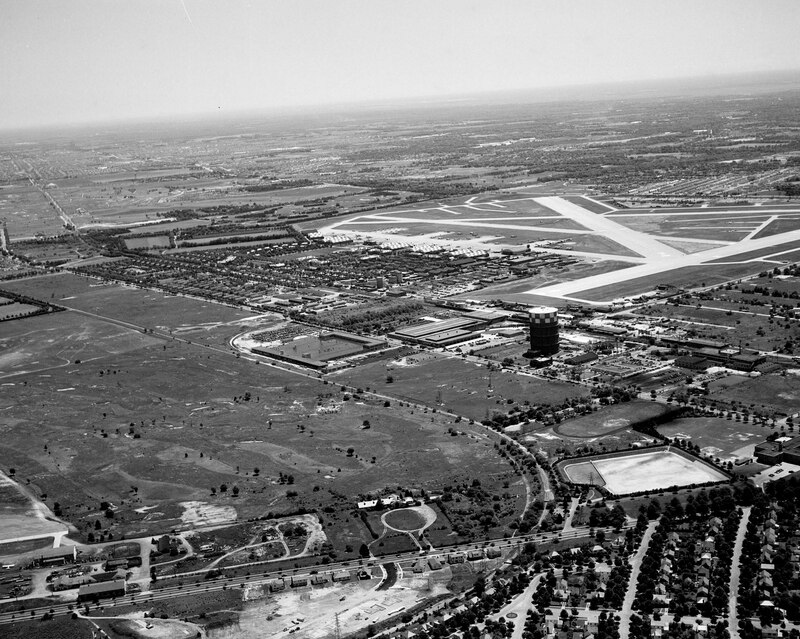 Note: The airplanes at Roosevlet Field which closed in May 1951. Looking south. The "Mayan Ruins" Bridge can be seen at the bottom of the aerial. View looking west/north. Circa 1957. Another chimney sighting. February 26, 1957. The LILCO Gas Tank in 1960. Frank: Here is a "today" photos taken at Merchants Row Bridge (Old Roosevelt Field LIMP bridge) looking west along the northbound Meadowbrook Parkway. This photo I believe was taken in the same area as the1950 mystery photo. 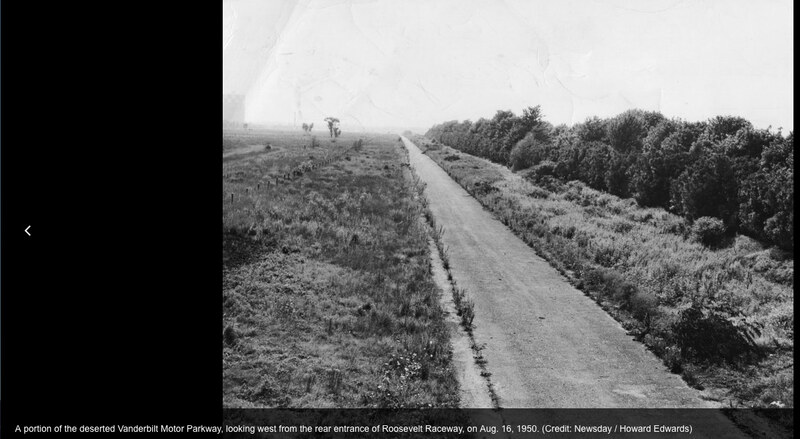 Remnants of the Motor Parkway? -I believe that to be the Roosevelt field tank, and to the right of that, The Curtiss smokestack on Clinton, making this the Motor Parkway looking South towards where the Clinton Ave bridge used to be since it was gone by this time. -Old Country Rd Motor Parkway bridge. -The ‘Mayan Ruins’, and possibly the managers’ office and lodge off in the distance, but are a little tough to see. Thank you Art, Paula, and Jeff for producing this super rare photo. Good one !! This is the Motor Parkway looking west from the Ellison Avenue (Merchants Concourse) bridge. 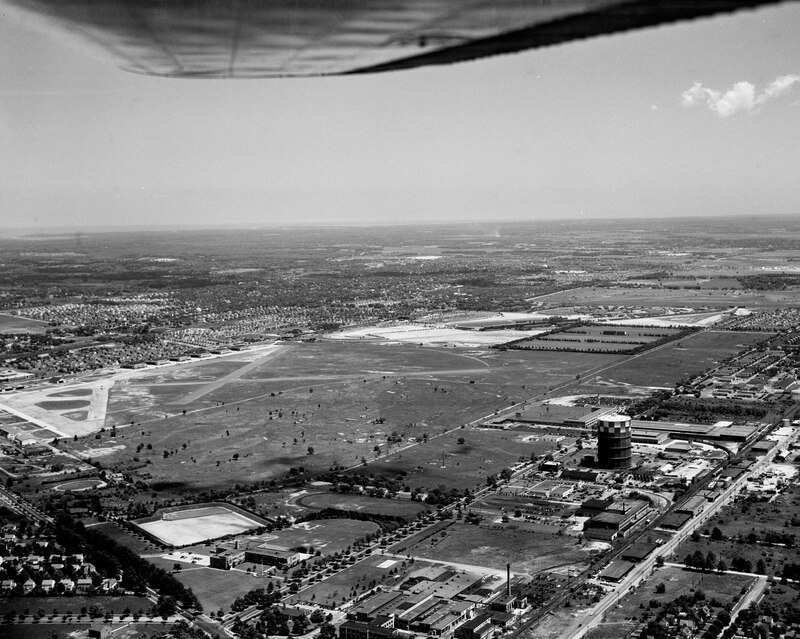 In the distance we can see the Garden City Gas Tank south of Stewart Avenue and the Toll House at Clinton Road. 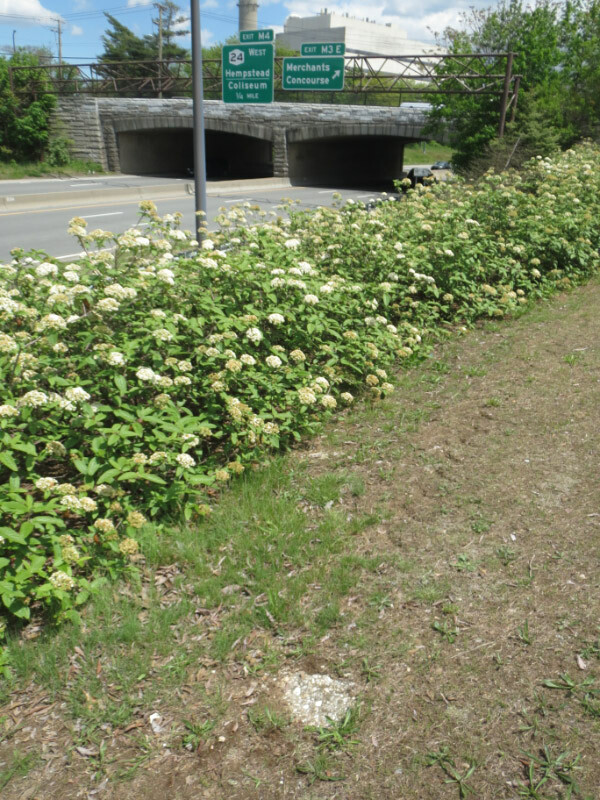 Looks like it was taken toward the end of the parkway’s life because of the weed overgrowth and no cars. 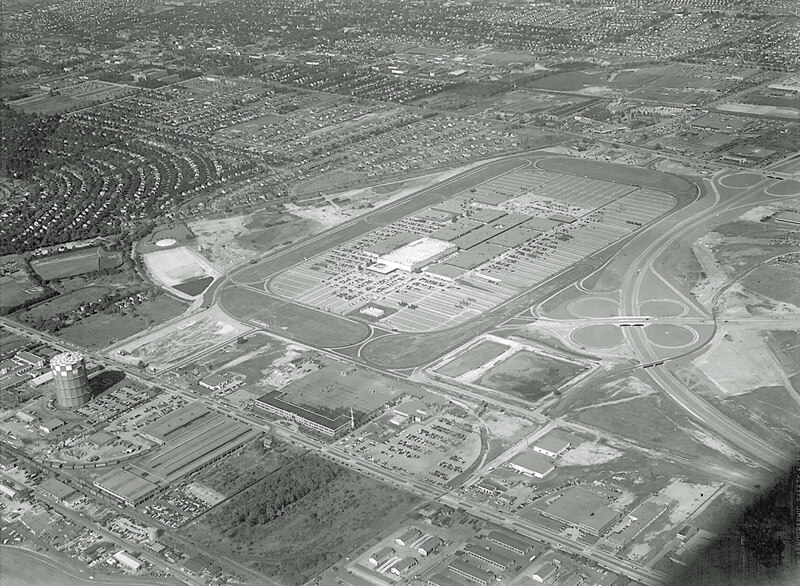 I was always curious which exact part parallels the Meadowbrook Parkway but it is probably this exact picture. I also didn’t know that there was a tree buffer between the road and the Polo Fields but looking at the location today it makes sense. Walking this stretch of road today is next to impassable…..
My guess is that this is looking west from Carmen Avenue in East Meadow. 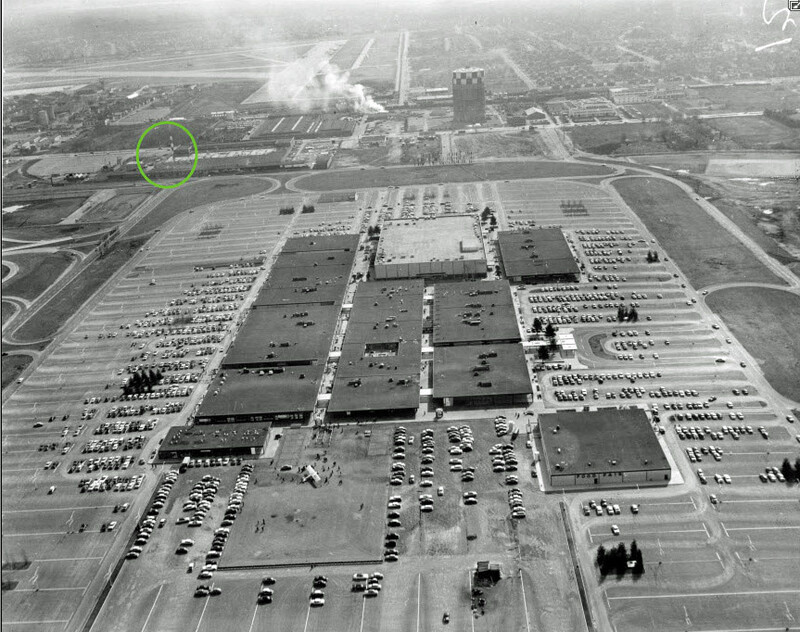 The gas tank at Roosevelt Field is visible. Location/Orientation/Rationale: Westbury, viewing the LIMP to the west. Lilco Gas Holder at the upper left ( S/O Stewart Ave ). There’s also a smoke stack a little further in the distance. If the Gas Tank wasn’t in the image, figuring out this Mystery would’ve been quite difficult. 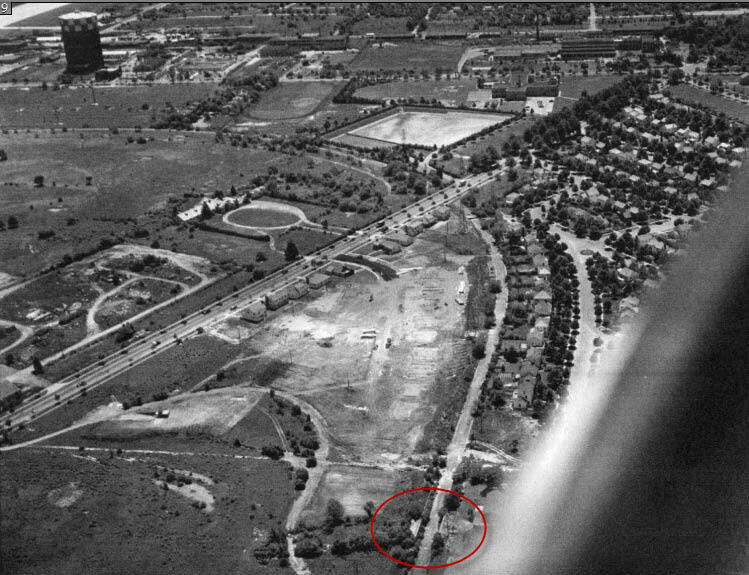 Location where image was captured: From the Roosevelt Field LIMP bridge. Elements of the LIMP: Concrete Boundary Posts S/O of the parkway. Concrete extensions on both sides. There’s a dark geometric shape in the distance, N/O the LIMP. Rooftop? Ok. Deep breath. This one made me work. And still so many questions. Final Answer. 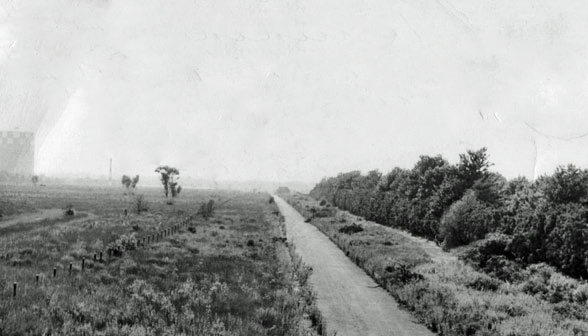 Picture is taken from the Roosevelt Field bridge over the LIMP, looking west. The old gas tower can be seen in the distance, located south of Stewart Ave. Clearly we can see the old cement post and twisted wire fence of the LIMP. Yes, that same fence I kept finding over and over as a kid. 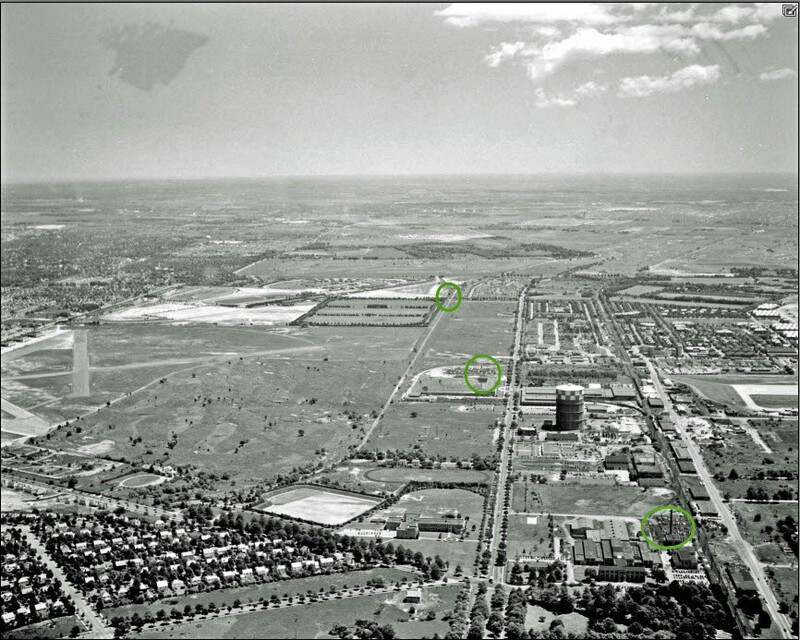 If on that spot today you would see the Meadowbrook Parkway. These pictures are beyond priceless. Thank you. 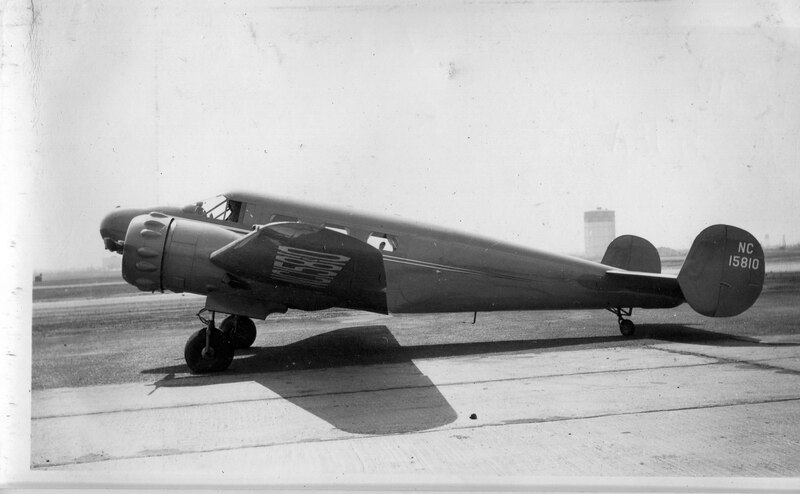 In the left distant it looks like the checkered LILCO gas tank and to the right of the tank it looks like the old smokestack of the Curtiss Aircraft complex. If that is correct we are looking south along the LIMP between Old Country Road and Stewart Avenue. The Garden City toll lodge may be the structure on the right. Hi. 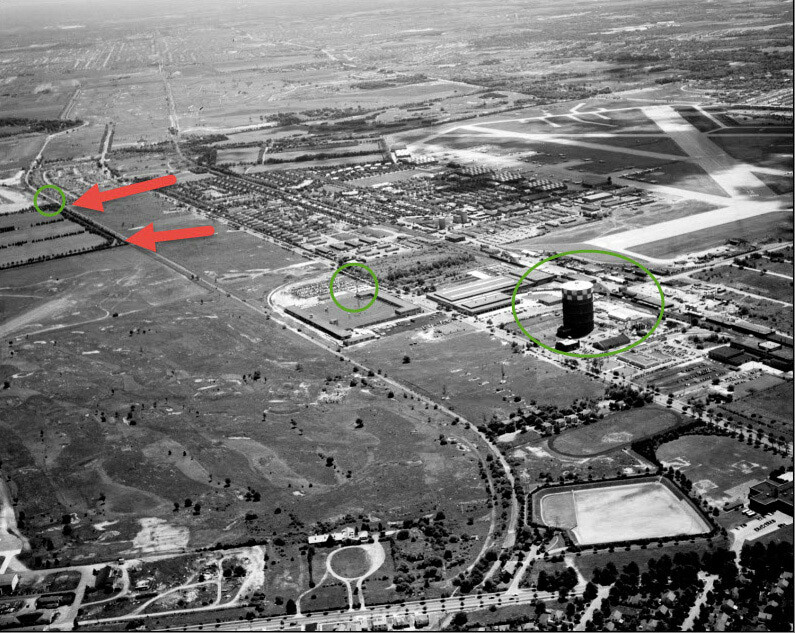 I believe that the structure in the distance, on the left is the Garden City Gas tank? If that is correct, then I believe the picture is taken on the LIMP south and west of Roosevelt field, somewhere near where the Meadowbrook Parkway ended up? Perhaps taken from the bridge that went from LIMP to Raceway ? Apart from the road, you can see the posts on the side of the road to the left. My other thought, assuming that that was the GC gas tank was that the picture was taken on the LIMP just east of Roosevelt field, somewhere near Russell Road and Pell Terrace ( two blocks from where I grew up). But by 1950 there should have been houses on the right so I will stick with my first guess. Photo is looking West-Shelter Rock Rd to New Hyde Park Rd. Based on what appears to be one of the old Elmhurst gas tanks on the left edge of the photo, I’ll guess we’re looking west or southwest from the Creedmoor highway bridge, east of Winchester Blvd. Looks like a string of concrete posts along the left side of the parkway. With the coal bin? in the distant left I would guess Stewart ave? This great image was taken of the parkway in Garden City and Westbury. The photo was taken facing to the west towards Garden City and Clinton Ave. In the photo on the left you can observe the great big Lilco gas tank on Stewart Ave. You can also observe the smokestack of the Curtiss engineering company by Stewart and Clinton Aves. On the right side of the parkway or the north side you can see the trees and hedges planted for the 3 Meadowbrook Polo fields. The photo was taken from the southwest side of the Roosevelt field parkway bridge over looking the parkway. Great photo captures, Frank Mendyk! 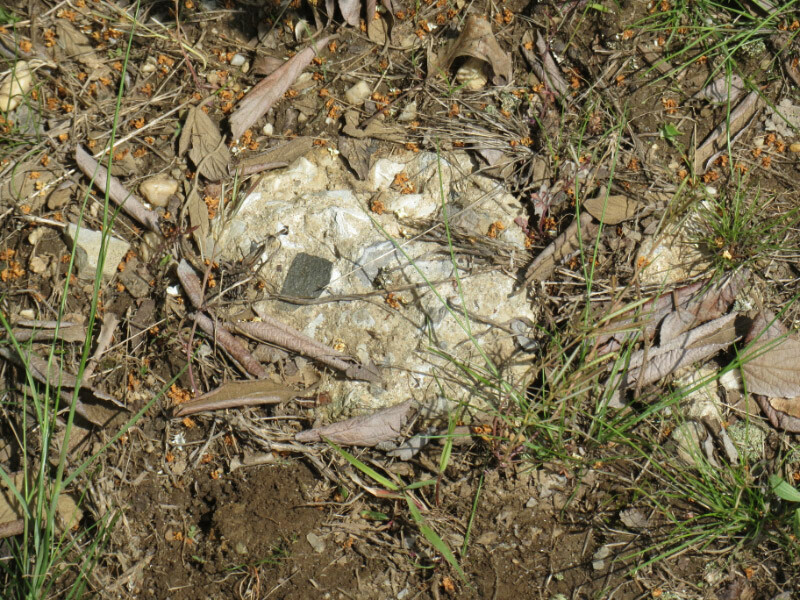 That’s ABSOLUTELY an embedded chunk of LIMP pavement. We all have come across enough parkway fragments to know. Glad you’ve taken on the task of “The LIMP Photographer”. 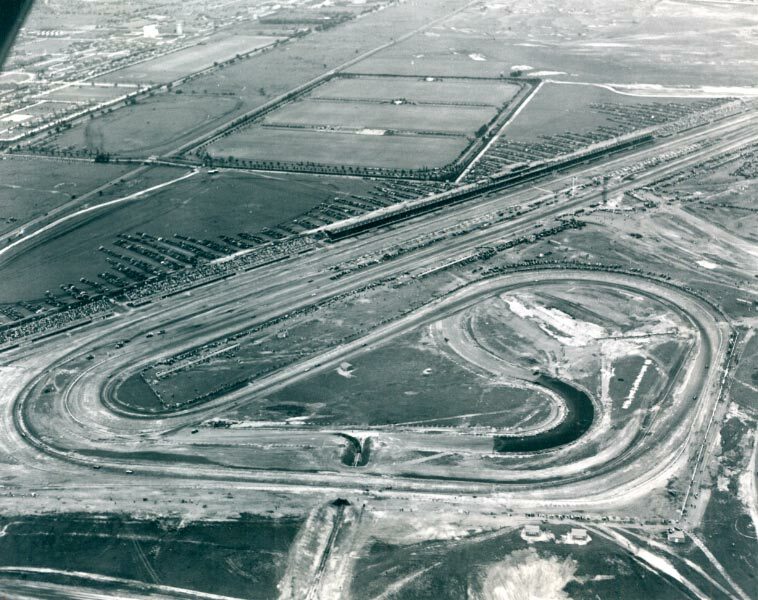 Although my mystery guess was incorrect, it is great to see the original LIMP stretch alongside the Polo Fields as it was. 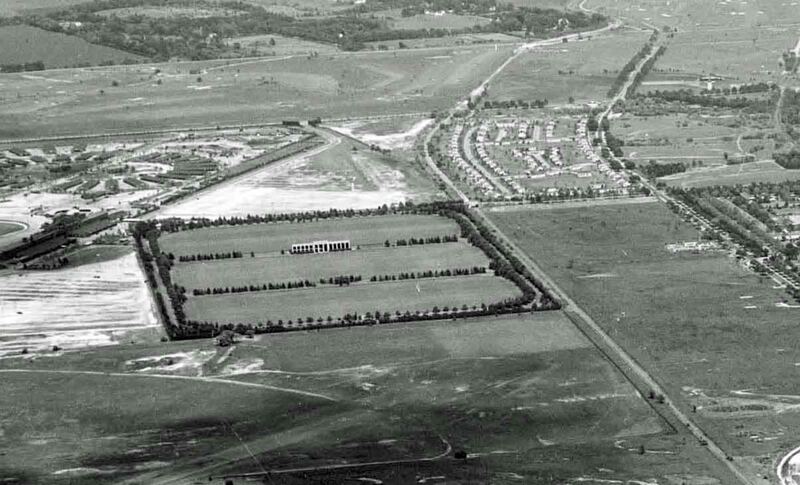 A rare outside view of the Polo Fields that most probably have never seen. This one is priceless. Hats off to Art, Paula, and Jeff for producing this super rare image. Glad everyone enjoyed this one and had to scratch their heads a bit. Have to thank Jeff, Paula’s son who forward the pics first to Paula who in turn sent to me. Paula’s husband Dennis is a Motor Parkway fan and has accompanied me on my tours. Now we wait for this week’s photo. Great picture. I was away, now catching up on LIMP posts. This one is a bit confusing. Based on where this bridge was and if we are looking west why can’t we see the meadowbrook pkwy? It was right next to it. After some research I might have answered my own question. 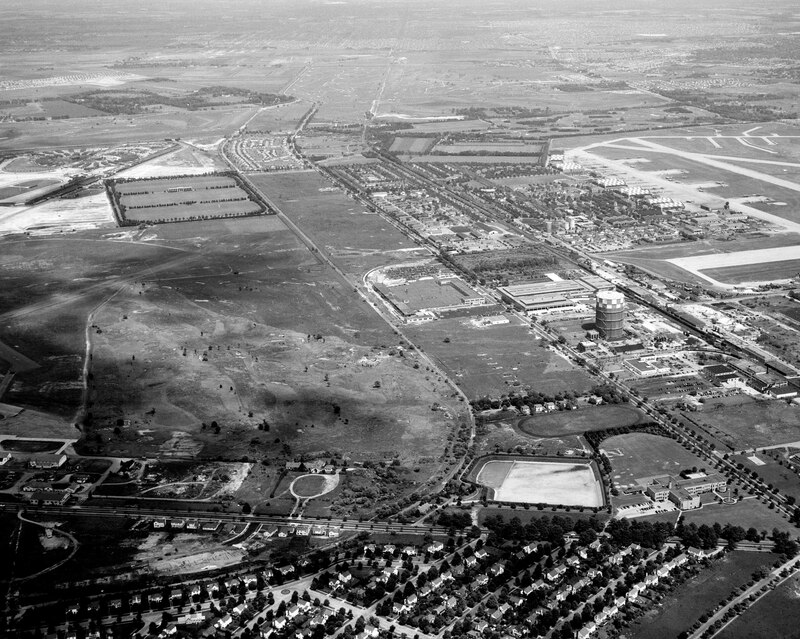 Seems like the southernmost portion of the meadowbrook was opened in the 30s but the northern sections got delayed and didn’t open until the mid 50s.